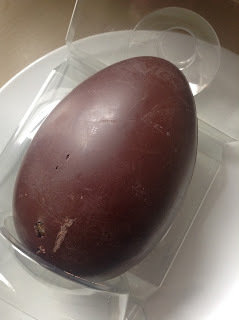 Today I'm reviewing an Easter Egg I was gifted that sadly will not make it to the Easter Weekend, being the chocoholic that I am. I know, I know, I'm a pig! 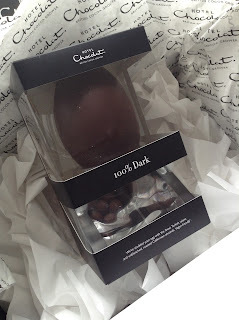 I was really excited when I heard about this 100% Dark Egg from Hotel Chocolat, because back in my sugar-free diet days it was so hard to find anything to have at Easter without sugar. There's always a need for such products on the market and the fact Hotel Chocolat have made this is surely a first - I've certainly never seen anything like it in shops before anyway. 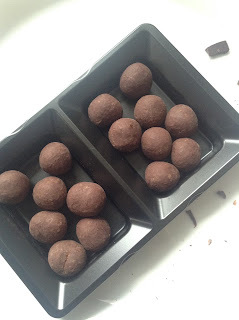 The egg also comes with two small trays of 100% St Lucia chocolate panned Piedmont hazelnuts, which reminded me of a richer and more refined Ferrero Rocher in taste. They're super moreish! The quality of the chocolate is excellent, and if I were currently on a sugar free diet (I'm not!) I would probably have loved it. But as I'm not, it was a bit too bitter for my tastebuds. The inclusion of the raisins and almonds was a lovely touch though and I found myself enjoying them mixed in with the chocolate. If this were an 85% cocoa egg I would probably have loved it. The total lack of sugar is just a bit too much...like they say on the packaging, its only for "the persistent, the sticklers"! Overall, I have to say that this egg is...eggcellent...if you're avoiding sugar. They've put a lot of effort in and done it justice, and I do hope they sell really well and return next year. There's a need for more products like this, and so it's nice to see Hotel Chocolat ahead of the curve. I remember buying a bar of 100% from hotel chocolat and thinking it was going to be amazing (i like bitter chocolate) but ugh it was just horrid to me (didn't have added stuff in like the nice egg does) - the texture was horrible and i couldn't eat it. 85% is my limit i think. I am an inveterate 100% chocolate fan and was over the moon to try this innovative Easter egg from Hotel Chocolate. 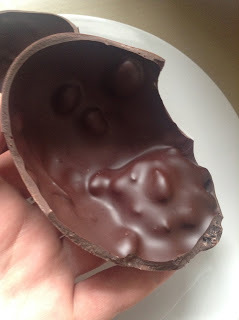 At last someone has remembered to make an Easter egg for those of us who do not favour sugar in our cacao products. Well done Hotel Chocolate! Superb product. Some of their branches (for example Paddington station) didn't bother stocking it! Found it eventually and so glad I did. I have bought this egg. It's fab, great to enjoy chocolate without sugar spoiling the taste. How should businesses handle negative reviews?